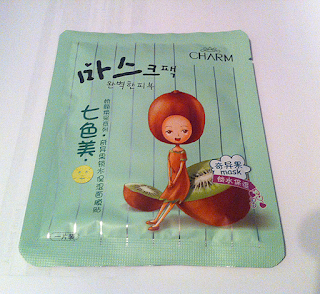 This is a review for the Charm Facial Mask Review in KIWI. I was sent this by Uniqso, of course to review. 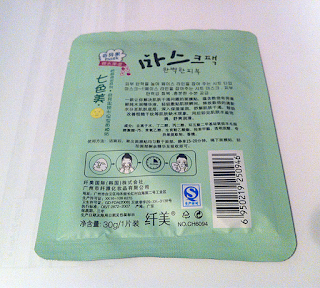 This item is priced at 1.90 per sheet mask, and is available in different scents (Almond, Cherry, Blue Chamomile, Olive, Tealeaf, and of course Kiwi). First off I want to say I purchase and use sheet masks quite often. 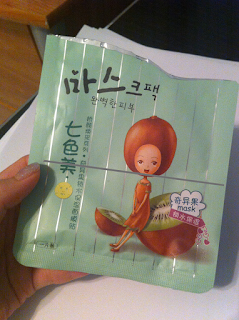 Some of the masks I have used in the past has given me horrible headaches due to the scent. (*cough MBD Red Wine*) 'The packaging for this item is really cute, and good quality. The mask itself isn't cheap feeling. Some of the masks I have used in the past rip... even before I can place it on. This Charm one was heavenly scented and fit my face well. There was excess sheet on the bottom and top, but that's normal. There are slits on the masks to make it more fitting. 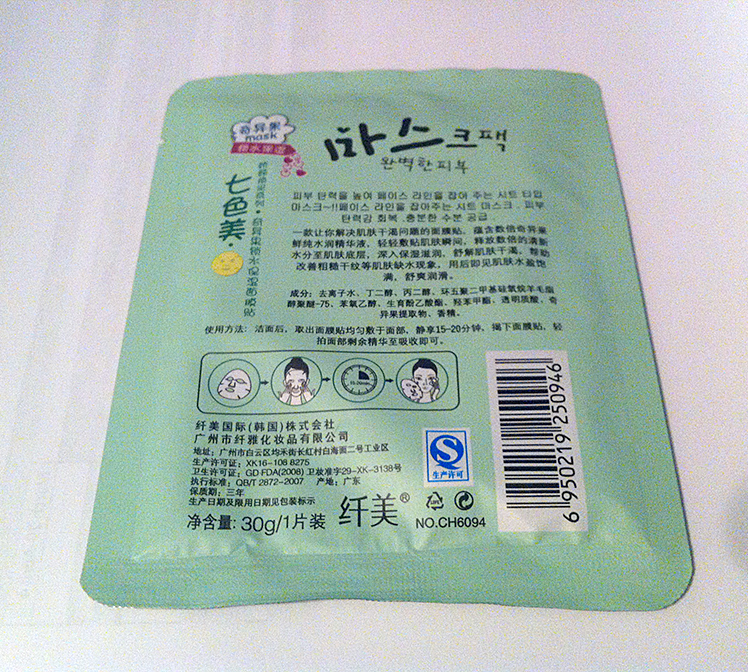 Sheet masks are known to help with soothing and brightening the skin. Each one usually has a different effect or purpose. 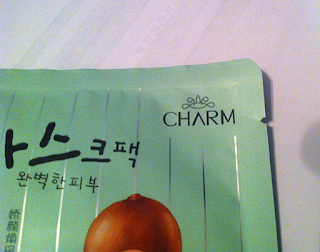 I'm not too sure what the Kiwi flavor one does, but It definitely does hydrate my skin. 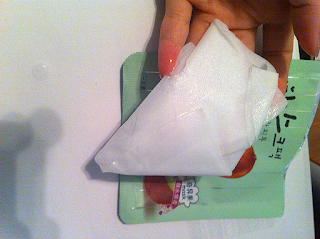 The stickiness afterwards is kind of annoying though. It takes quite a while to sink into the skin. Its been about 20 minutes and my skin still hasn't absorbed all the serum from the mask.